Injury-prone runners have a hard time to better their race performances. For one, they’re limited by weekly mileage, and secondly, their training is often interrupted. Yet no injury exists for no reason. Therefore, the first step is to identify the cause of the injury and initiate the appropriate measures in training. In this article, you will learn how to cope with injury and bounce back quickly. The number one reason runners get injured is total miles run per week. Now, it is not possible to pinpoint an exact cutoff point where injuries increase. Some runners can absorb 100+ miles/week and others only a mere 20 miles/week. However, on average, the frequency of injuries seems to increase markedly at the 40 miles mark. Keep a training log and note where this occurs in your case. Another major reason runners get injured is doing too much, too soon. Going from a 5K training program straight to a marathon regimen within a short few weeks is a recipe for disaster. You should increase your mileage by only 10% per week for 3 consecutive weeks and then stay there for an equal amount of time. This could even go hand in hand with temporarily reduced intensity, if necessary. The next area you could take under scrutiny is your running gait. 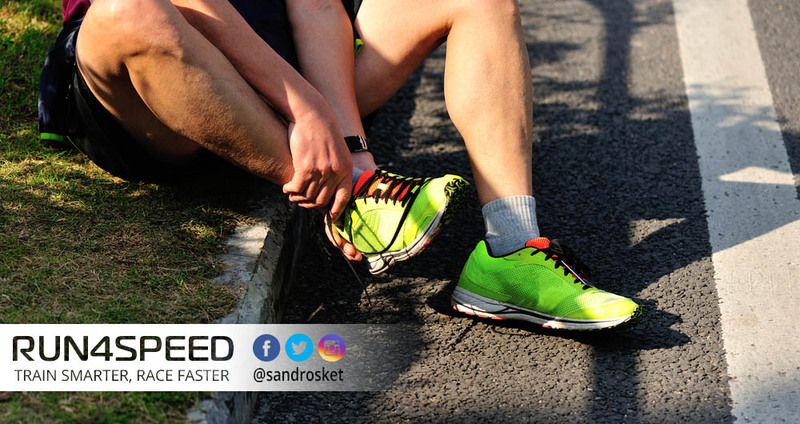 Knee injuries, for instance, are often the result of overstriding and Achilles’ tendon issues are often connected to a tight soleus muscle. Muscle imbalances and postural abnormalities are also quite common. Often, a problem occurring in one part of your body has its cause in another part. Seek out a specialist if you are unsure. Finally, there are training errors. Training = Stress + Rest. As the old adage goes: “Train at the knife’s edge.” That means, in order to stimulate your body for new adaptations you need to push the limits, without going over the top and getting injured. This has a lot to do with an intelligent training structure. In any case, it is always better to be slightly undertrained and healthy than being sidelined by injury. I can’t overstate the importance of a solid warm-up. Your body is most vulnerable at the beginning of a workout. Hence, I recommend a minimum warm-up of 10min before easy runs and 20min before runs at or above lactate threshold. Begin with a slow jog and gradually phase into running drills to activate all your working muscles. Also, consider dynamic stretching such as leg swings. 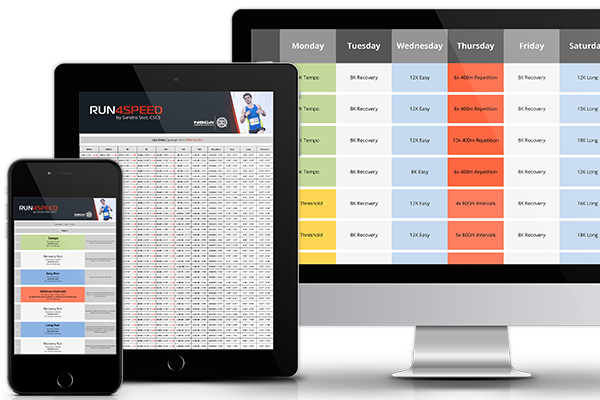 When it comes to the workout itself, you will have to consider the context of the training program, more precisely your training week. A formula that serves as a guideline for a balanced training week is 70% at low intensities, 20% at moderate intensities, and 10% at high intensities. That ratio, of course, can change slightly depending on your race distance and the current mesocycle (focus block) you are in. What also factors into a well-structured training week is the placement of these workouts. 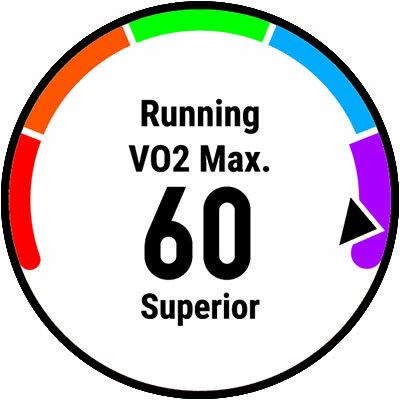 It would be an overkill to have a back-to-back session of a tempo run and a VO2max interval session (unless you are an elite athlete). Every key session (VO2max Intervals, Tempos, and Long Runs) should be buffered by Easy Runs, Recovery Runs, or Cross-Training, to allow for 48h of recovery in between those hard efforts. Running aside, there are many activities that can alleviate or even cure running injuries. Strength training, in particular, has proven to be effective to take the pressure off joints, ligaments, and tendons while running. Static stretching or Yoga can also complement your running in a positive way. And don’t forget to ingest quality carbs, protein, and fats in adequate amounts to ensure a fast recovery. The key takeaway of this article: Identify your weak spots and then take the appropriate measures until the problem is resolved. 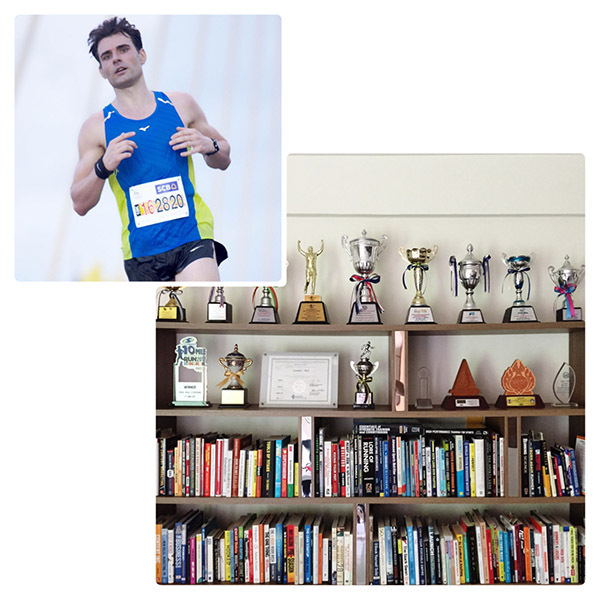 In some cases, cutting training volume or even a complete break from running is necessary. But often just a few tweaks in training or in running form can do wonders. Those who want to delve deeper into this topic I recommend the book: Ready to Run, by Kelly Starrett.